Having your own hair and beauty salon should be an exciting and rewarding experience, but you need to consider how to protect your business to ensure your financial security in the event of something going wrong. 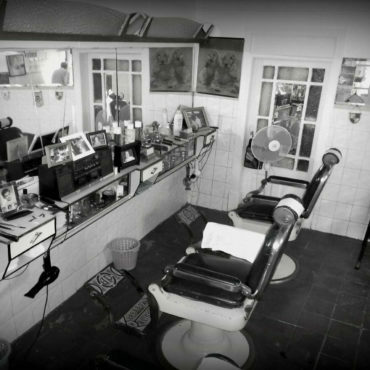 If you own a salon, you need to have a comprehensive insurance policy in place. The Insurance Octopus is able to specifically tailor Hair and Beauty insurance around your personal needs, with you, your business and the range of services and treatments you offer at the forefront. As a result you will be covered for all eventualities, ensuring you can carry on doing what you do best with the added peace of mind that you are completely covered through The Insurance Octopus. Our hair and beauticians insurance policies are specially designed and tailored with you in mind to match your exact requirements. For peace of mind, we can help you to tailor your insurance to provide additional covers as and when you need them with the flexibility of being able to add them at any point during the policy year. This is particularly useful if you decide to offer additional treatments and services during the length of your policy. Public Liability insurance cover is available as standard from £1 to £5m, higher limits are available upon request. Should one of your customers or a member of the public be hurt, or their property become damaged as a result of your negligence, public liability insurance for the hair and beauty sector will protect you. Treatment Risks are an extension of your public liability policy, and covers you in the event of a claim being made against you if one of your treatments causes an injury to a client. Employers Liability insurance cover is mandatory if you have one or more employees. Employers Liability cover comes as standard at £10m and will protect you, as the employer, against claims from your staff should they be hurt when working for you. Business contents & stock cover will include your trade contents, fixtures and fittings, stock, employees and customers’ personal effects. With Business Money cover also available to protect your businesses cash whilst on the premises during working hours. As a broker we are able provide cover for a wide range of treatments such as: Waxing, nails, hair, Beauty, Piercing, Make-up, Hair removal, Skin treatments, Tanning, Solarium, Piercing, Massages and more. With cover available whether you work from home, own a salon, rent a chair or operate as a mobile operator. a comprehensive range of insurance covers. In the unlikely event that something happens to your business premises, have you considered what impact this may have? Many businesses don’t and then suffer the consequences as a result. Business Interruption insurance covers the loss of income from being unable to trade as a result of insurable claim such as fire, flood, or storm damage among others. This could be vital to some businesses dependent upon the length of time they are unable to trade. The Insurance Octopus compares quotes from a range of insurers ensuring we deliver the right cover for your business at a price that’s right for you. In addition, we have the ability to bolt on extra covers that you won’t necessarily be able to get from other hair and beauty insurance providers. Why choose us for Hair & Beauty Insurance? Claims can be expensive, which is why we offer up to £5 million worth of public liability cover for hair & beauty professionals. Do I need treatment cover? Can you provide cover if I have been trained abroad?